We offer dog services such as daycare and vacation stays. Paws Above specializes in aggressive or fearful cases, medically compromised and dogs with special needs. We offer services in dog training such as obedience (level one through three), social gatherings for behavioural issues, and a canine emergencies course. Training is free for all foster dogs. 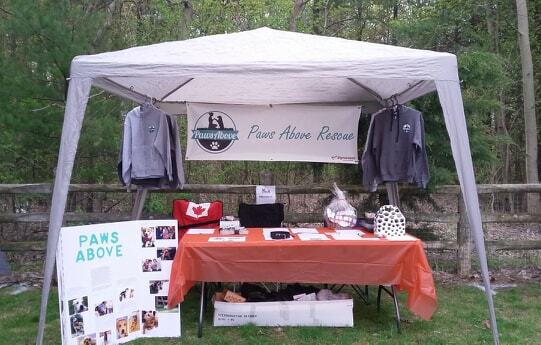 Paws Above is a foster-based rescue that is not for profit. We specialize in dogs with behavioural and or medical issues. Paws Above rescues dogs locally, as well as globally! What makes us Paws Above the rest? We spend most of our days outside. Our yard area is just under a half acre and is secured with 6ft fencing. If the weather is nice, we spend a minimum of 10x outside per day. If your dog has extra energy to burn - we have a 45 to 60 minute hiking trail that we use for leashed hikes. On hot summer days, we fill up kiddie pools for the dogs to chill out in. Outdoor time is supervised at all times. Paws Above is a farmhouse that has been renovated for the dogs. The owners, Ola & Jeff, live in the front half apartment - while the rest of the two story house has been made into living room styled dog lounges. We have 6 different cage-free lounges that we use to separate dogs based on size, energy and or temperament. 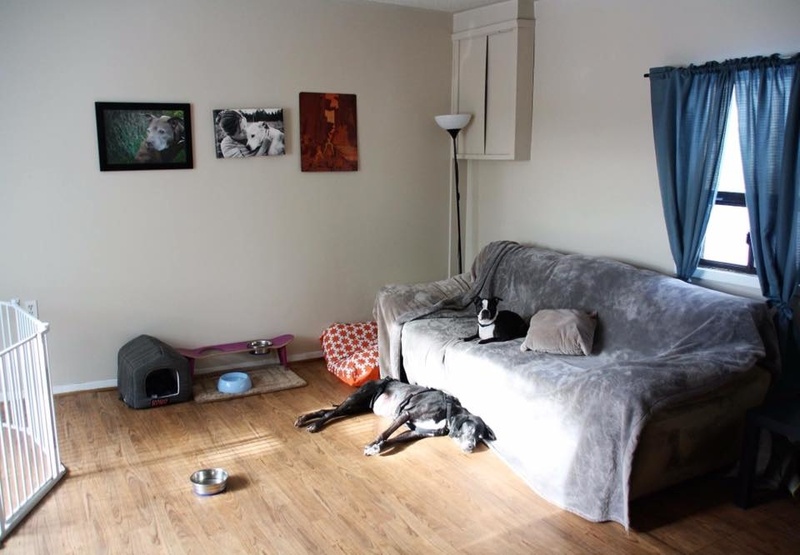 Our layout allows us to place dogs together who are a good match to ensure a good, fun and controlled social experience. 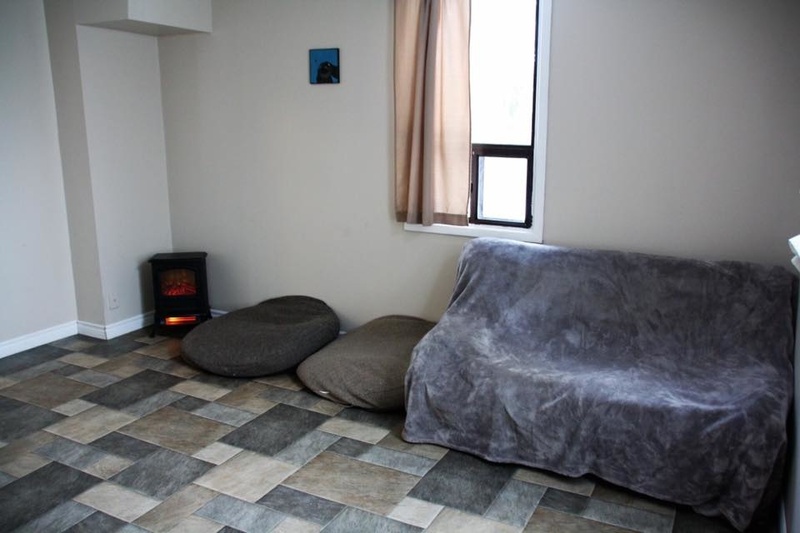 Every lounge is complete with couches, dog beds, blankets, and some even have TVs. We try to recreate an in-home experience. Here are a few of our current adoptables! To see all dogs up for adoption, please click the button below!